The Lecture is in memory of David G. Goodwin, Professor of Mechanical Engineering and Applied Physics, Emeritus, who passed away on November 11, 2012. Professor Goodwin was best known for developing ways to grow thin films of high-purity diamond. Diamond films—transparent, scratch-resistant, and efficient dissipaters of the heat generated by high-powered computer chips—are now routinely used to protect electronic and optical components, and diamond-coated drill bits can be found at any hardware store. The Lecture will be held annually and is made possible by the Division of Engineering and Applied Science and the support of family, friends and colleagues through donations to the David G. Goodwin Memorial Fund. This talk will start with a big picture review on grand challenges we face, and move on to discuss opportunities in taking fundamental understanding in micro/nanoscale transport to develop better materials and devices for thermal and solar energy utilization. One example is thermoelectric energy conversion. I will discuss progress in advancing fundamental understanding of phonon and electron transport, designing and synthesizing new and improved materials, and building devices for improving the efficiency of solar and thermal energy conversion to electricity. I will then introduce a thermogalvonic regenerative cycle which converts heat into electricity at relatively high efficiencies using batteries and low-grade heat sources, emphasizing philosophical differences in thermoelectric and thermogalvonic energy conversion technologies: one based on spatial and the other on temporal thermodynamic cycles. Along a different direction, I will discuss how to exploit transport physics in low-dimensional systems to turn polymers from a poor heat conductor to a good heat conductor, and our effort in developing scalable manufacturing processes for highly thermally conductivity polymers. The talk will close by introducing a new steam generation approach that allows us to boil water under one Sun in ambient condition. 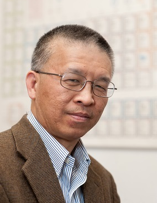 Professor Gang Chen is currently the Head of the Department of Mechanical Engineering and Carl Richard Soderberg Professor of Power Engineering at Massachusetts Institute of Technology (MIT), and is the director of the "Solid-State Solar-Thermal Energy Conversion Center (S3TEC Center)" - an Energy Frontier Research Center funded by the US Department of Energy. 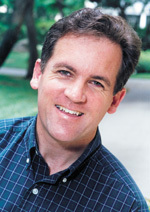 He obtained his PhD degree from the Mechanical Engineering Department, UC Berkeley, in 1993. He was an assistant professor at Duke University, a tenured associate professor at UC Los Angeles, before moving to MIT. He is a recipient of a K.C. Wong Education Foundation fellowship and a John Simon Guggenheim Foundation fellowship. He received an NSF Young Investigator Award, an R&D 100 award, an ASME Heat Transfer Memorial Award, a Nukiyama Memorial Award by the Japan Heat Transfer Society, a World Technology Network Award in Energy, an Eringen Medal from the Society of Engineering Science, and the Capers and Marion McDonald Award for Excellences in Mentoring and Advising from MIT. He is a fellow of American Association for Advancement of Science, American Physical Society, and American Society of Mechanical Engineers. He is an academician of Academia Sinica and a member of the US National Academy of Engineering.